Post 58 is a group of teenagers from the Portland area who engage in outdoor adventures under the guidance of experienced adults. These activities include rock climbing, backpacking, hiking, mountaineering and many other outdoor adventures. The Post is open to students ages 14-18. Members participate in trips around the Northwest as well as to many other mountain ranges and climbing areas. The Post is open to students ages 14-18 and is dedicated to making these adventures available to a diverse group of high school students. It currently has student members from 29 different high schools! Our mission is to provide an arena for personal growth and social interaction by creating diverse experiences that foster responsibility, respect, and a passion for the outdoors. To provide Post members with opportunities to learn climbing and wilderness skills through outdoor experiences with members of their peer group. To provide Post members with an opportunity to learn group living and leadership skills. To enhance personal growth and self-awareness. To teach respect for the wilderness. To provide service to the community and give back to the outdoor world. Post 58 strives to be a welcoming and diverse place for teenagers from the Portland area to experience nature and engage in challenging outdoor activities. 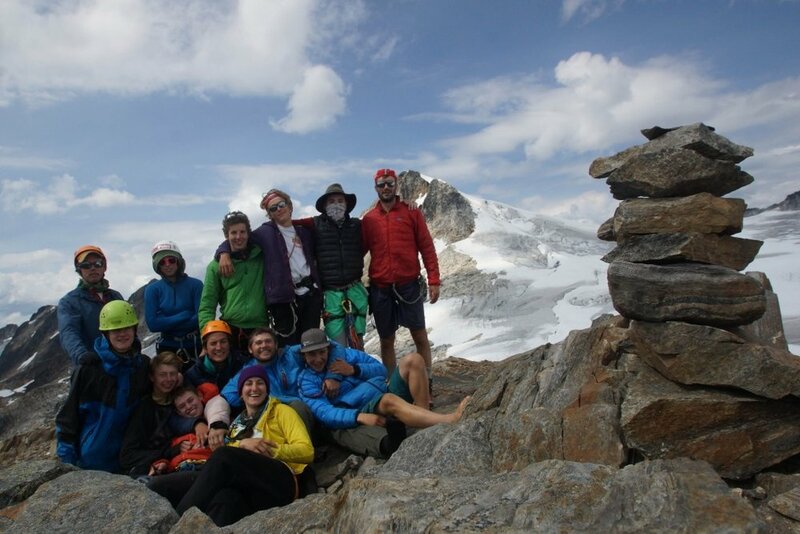 The Post is an extremely popular organization for students, with its focus on having fun in the outdoors with your friends on the weekends, but it is also a commitment. It doesn’t matter if you have no previous climbing experience, or if you don’t know anyone – we are a very welcoming group – but we do want to make sure that you have time for the Post. Read through our frequently asked questions and let us know how we can help you decide if joining the Post is right for you. You can email our current president, Marcell Simon, or come to a meeting and introduce yourself. We’d love the chance to meet you and show you what the Post is all about. If you decide the Post is for you, that’s awesome! However, while we’d love to have all interested students just show up and be a part of the Post, we don’t always have space right away. So, the first step to becoming a member is to email Marcell and let him know you’d like to be put on the waiting list. Once you’re on the list, we’ll contact you as space opens up. Our new year starts in October, so that is generally when we take on new members. Normally, monthly Post meetings are held at Lincoln High School, room 169.